Les Paul Standard Plustop PRO: Now featuring Pro-BuckerTM Pickups with coil-tapping and new colours! Including a beautiful AAA flame maple veneer top and amazing transparent finishes. The Epiphone Les Paul Standard Plustop PRO delivers the classic tone and sustain that only a real Les Paul can achieve. It now features Pro-BuckerTM pickups for that one-of-a kind Les Paul sound. Pro-BuckerTM pickups feature Alnico II magnets, the same magnets used in sought after vintage PAF humbuckers. Alnico II magnets provide a rich, warm tone with a sparkling high end and a solid low end. The Les Paul Standard Plustop PRO features a Pro-Bucker-2TM in the neck position and a Pro-Bucker-3 TM in the bridge position. The Pro-Bucker-3TM is slightly overwound to provide balance with the neck pickup and a bit of edge for lead work. Pro-BuckersTM emulate the sound of original PAF pickups which were hand-wound with a few extra turns of wire. Both the neck and bridge pickups now also feature coil-tapping, controlled by a push/pull volume control, allowing players an infinite variety of pickups sounds from single-coil bark to full humbucker bite. When winding humbuckers, Epiphone utilizes a double vacuum waxing process that ensures quiet operation, free from microphonic hum. Every week-end the most famous American guitarist of his time Les Paul went to Epiphone´s empty factory in order to work on his idea of the perfect guitar. Around 1941 he built “The Log”, to which he attached bridge, pick-ups, string braces and an absolutely normal Gibson guitar neck. Then he cut one of his Epiphone guitars lengthwise and stuck one half each at the back and front of the log – out came his first electronic Solid Body Guitar. This guitar is the only authorised reproduction of the Gibson Les Paul Standard and, moreover, one of the best sold instruments worldwide. The Les Paul has all features its forerunner made famous: a glued neck with trapeze inlays, humbucker pick-ups for a heavy sound and a noble finish from black to different sunbursts or gold varnish. The company looks back on a 125 year history. Epaminondas Stathopoulos, the founder and eponym, applied for his first patent at the early age of 24; many were to follow which revolutionised the world of instrument builders. Yet, his story is based on the famous guitarist Les Paul who discovered the first Solid Body Guitar when experimenting in his workshop. Today Epiphone stands for innovative ideas and successful replica of classical instruments which are affordable for everyone. The Epiphone Les Paul Standard PRO series provides the splittable ProBucker-2 ™ and ProBucker-3 ™ pickups, a beautiful AAA flamed maple veneer and colours such as Honeyburst, Heritage Cherry Sunburst, Trans Blue, Vintage Sunburst and Wine Red. A modern guitar with classic elements. The traditional company Epiphone belongs to the Gibson group since the early 60s. The Instruments are manufactured in the Far East and offer good quality at a reasonable price. Epiphone is the only company that is allowed to use the copyrighted design features of the Gibson USA Instruments. The Epiphone Les Paul Standard is orientated on the selected woods and hardware on the US models. 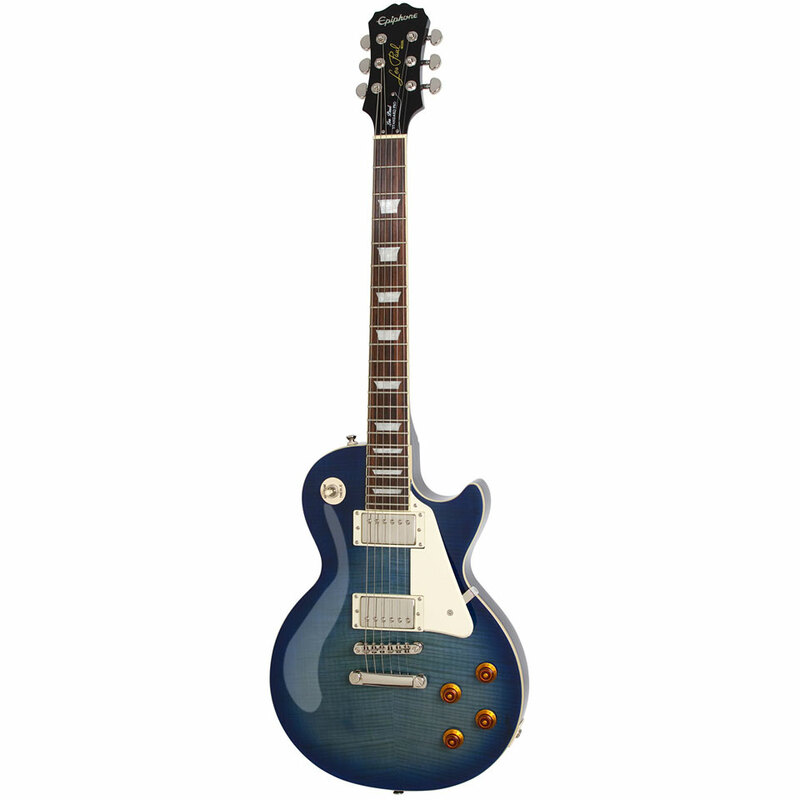 So if you are looking for the classic look, good workmanship and characteristic sound at an affordable price then you will be right with the Epiphone Les Paul Standard. Epiphone itself can look back on a more than 125-year history. Epaminondas Stathopoulos is the founder and namesake of Epiphone, He already registered his first patent when he was only 24 years old, many followed and revolutionized the world of instrument making. The story of Epiphone is also closely linked to the guitar genius Les Paul, who experimented in 1941 in the Epiphone workshops and developed the first solid body electric guitar. Today Epiphone stands for innovative ideas guitar and successful replicas of instrument classics that are affordable for everyone. First I would like to say how amazing this website is: their products are so cheap and the delivery to UK is super quick, I got my Les Paul in under a week. Now, on to the guitar: I looked for ages online for an affordable Les Paul and i saw some epiphones on a couple of websites, then i saw this model and fell in love. it is around £50 more expensive on other sites so the value for money was great. when i got the guitar i was delighted. the coil tapping is sweet, it looks gorgeous and (most importantly) sound amazing. 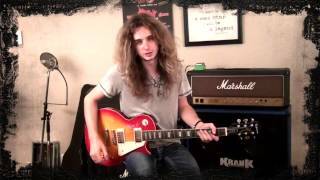 If you are looking for your 3rd or (in my case 2nd) guitar then you cannot go wrong with an Epiphone Les Paul. P.S. I just have to wait till christmas till i can use it on a daily basis haha! This item was given an average rating of 4.8 out of 5 stars. In total, 2 reviews were submitted. The comments are not the opinion of Musik Produktiv, they are the subjective opinions of our customers. 28 ratings exist without a text or these reviews are written in another language.